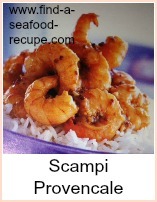 This shrimp scampi recipe is a classic Italian-American dish. 'Scampi' is otherwise known as langoustines or Dublin Bay Prawns and they are small lobster like shellfish. The Italians call shrimp 'gamberetto' and 'scampi' is normally just the menu name for large shrimp which will often be served over hot pasta or rice. They are most frequently cooked in garlic, wine and butter, sprinkled with herbs and lemon, then mixed into the pasta. 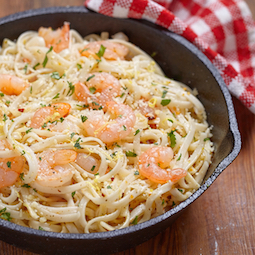 The shrimp scampi will take just a few minutes to cook, so make sure the pasta is ready. Melt the butter in a skillet and add the olive oil, allow it to heat through. Add the garlic and cook it gently so that it softens. That should take around a minute - don't let it color. Add the white wine, black pepper and pepper flakes, bring it up to a simmer and allow it reduce by half - about 2 minutes. 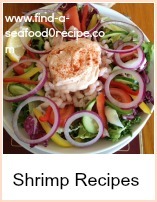 Add the shrimp and move them around the skillet to cook - let them just turn pink or they will become tough. Stir in the parsley and lemon juice, and again let the sauce bubble for a few seconds. You can either serve shrimp scampi with crusty bread to mop up the gorgeous juices or stir it into hot pasta - a think linguine is best. I like parmesan cheese with it - it's not typical, but I just love fresh parmesan cheese and anything vaguely Italian is enough of an excuse for me to use it! It makes a fabulous appetizer - serve on small, hot dishes, spoon the juice over each portion equally and have some fresh crusty bread with it. 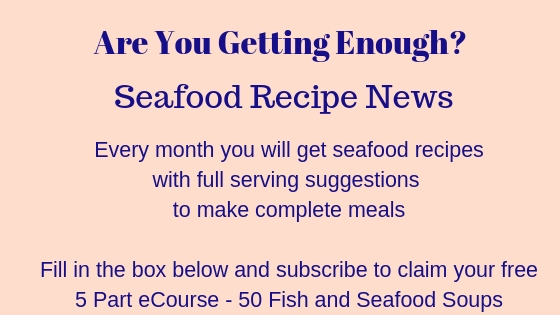 This method assumes you have bought fresh, raw shrimp which are a blue color - if you've bought cooked shrimp, then just let them heat through in the sauce - if you have bought frozen, then you *must* defrost them before you cook. You can buy frozen uncooked or cooked. 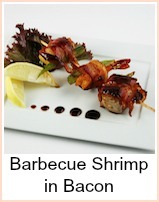 The quick cooking time ensures that the shrimp do not toughen - they become very chewy if you overcook.